archTIS specialises in solving Trusted Information Sharing problems. We develop and deliver secure content and collaboration solutions based on attribute based access control. We provide consulting, system integration and support services for our solutions. 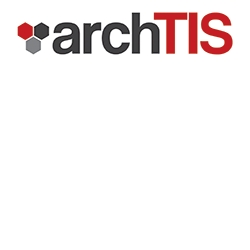 archTIS was awarded the Defence Excellence in Security Award in 2014 for its architecture services to Defence. Unleash your information's potential and share it securely with the right people at the right time under the right terms and conditions. archTIS are a respected cyber security company that was awarded the Defence Excellence in Security Award in 2014. We provide Security Consulting Services for a number of Commonwealth clients including Defence, AusTrade, Finance and Immigration and Border Protection. archTIS also provide Solution and System Integration services specialising in Identity and Access to sensitive information. archTIS are recognised globally as leaders in the implementation of attribute access control solutions. archTIS are a Canberra based company with locally security cleared personnel. archTIS are recognised as a global leader in the development of Identity and Access solutions utilising attribute based access controls (ABAC). ABAC provides fine grained access to content that enables dynamic policy driven access. This improves compliance, simplifies access and most importantly solves complex federation and sharing of sensitive information issues within and external to organisations. Information can be personalised and provided in context to end user from multiple sources. Creators or providers of information can apply the terms and conditions of who and how information can be accessed. These solutions are critical to providing trust and security for organisations moving their information to the cloud or who have sensitive commercial or government information.